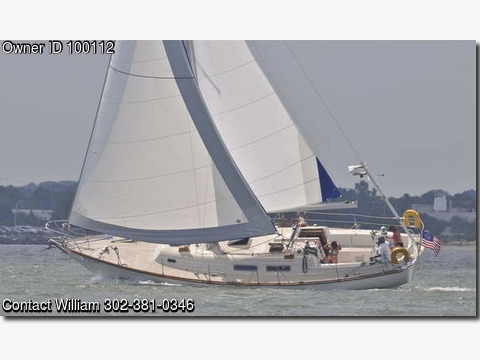 Boat is located in Hilton Head Island,South Carolina.Please contact the owner @ 302-381-0346...CC Landfall 42 for sale. Ready to get underway immediately. New finish inside and out. Propane cabin heater and stove. Roller furling mainsail, roller furling head sail 150 and 110. New dodger and Bimini by North Sails. Sailomate Wind Vane Self Steering. Electronics Furuno base package including 12 Multi-function display, Furuno radar with ARPA, Furuno wind indicator display, Air Max sensor, AIS, Data Marine Depth Sounder, Fusion Radio with Sirius Satellite receiver and remote, Auto Helm Autopilot, Raymarine Autopilot. Low hours on Westerbeke 4-108 diesel and velvet drive transmission. Many spare parts on board.